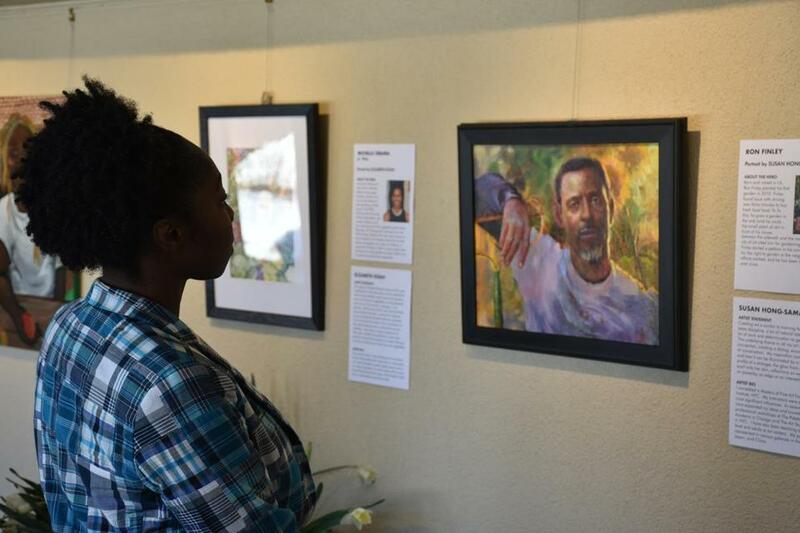 Tower Hill Botanic Garden in Boylston is exhibiting portraits of plant advocates throughout history. Tower Hill Botanic Garden in Boylston presents Horticultural Heroes, an exhibit honoring plant advocates from Michelle Obama to Johnny Appleseed to Theodosia Burr Shepherd. The exhibit will be open in the Milton Gallery from now through May 12. The gallery is at 11 French Drive, Boylston. Admission to Tower Hill, which includes the exhibit, is $15 for adults, $10 for ages 65 and up, $5 for ages 6 through 18, and free for ages 5 and under. Visit towerhillbg.org. The Armenian Museum of America in Watertown is holding a needlelace workshop on Sundays from 3 to 5 pm. from March 31 through April 14. The three sessions will be taught by textile curator Susan Lind-Sinanian, and materials will be supplied. The program will be held in the Adele and Haig Der Manuelian galleries on the third floor. The address is 65 Main St., Watertown. Admission costs $90 for nonmembers and $60 for members. Purchase tickets on the studio classes page at armenianmuseum.org. Anat Hoffman, executive director of the Israel Religious Action Center and founding member of the Women of the Wall, a group that advocates for women’s prayer rights at the Western Wall, will speak at Temple Beth Avodah in Newton on Friday, March 29. “Anat is a true champion of religious pluralism and of the rights of all Israeli citizens to equal treatment under the law,” Rabbi Keith Stern said. In addition to speaking at the 6:15 p.m. Shabbat Service, Anat will also speak at the dinner afterwards. The dinner is open to all, but in order to attend you must RSVP at www.bethavodah.org. Temple Beth Avodah is located at 45 Puddingstone Lane in Newton Centre. For more information visit the temple’s website or call 617-527-0045. Emerson Hospital in Concord is holding an open house at its Steinberg Wellness Center for Mind and Body. The event features free demonstrations and lectures on topics such as acupuncture, yoga, self-defense, muscular therapies, and tai chi. Discounts are offered to those who sign up for classes at the open house. Tours, raffles, giveaways, and refreshments will be available. The event will take place on Saturday, March 30, from 2 to 5 p.m., at 310 Baker Ave., Concord. Free parking is available. Visit emersonwellness.org. Get a glimpse from outer space with Gateway Camera Club at its free meeting in Framingham on Tuesday, March 26. David Libby will present “International Space Station, Earth Observation and Photography” at St. Andrews Church, 3 Maple St., Framingham. He is manager for Windows on Earth, a project of the educational nonprofit TERC that posts photos taken by astronauts on the International Space Station. He will discuss the importance of astronaut photography. The program begins at 7:30 p.m. and ends at 9:30. Visit gatewaycameraclub.visualpursuits.com, and windowsonearth.org. The Natick Center Cultural District and the Town of Natick are calling out to Massachusetts artists to pitch their ideas for public artwork in Natick Center. Viable locations include specific parks, parking sites, alleys, etc., which can be found on the website. Selected finalists will receive an award of $500 for design concepts and up to an additional $1,500 for fabrication and installation. The deadline to apply is May 13 at noon, and finalists will be selected by the end of June. Projects must be installed by Sept. 27. Find the application and more information at natickcenter.org. Grab your girlfriends and get ready for a ladies night out with the Westborough Women’s Club on Friday, March 29, at 6:30 p.m. “Meet Julia Child!” will be presented by the Delvena Theatre Company at the Knights of Columbus Hall, 17 Willow St., Westborough. Club members will be serving appetizers and dessert, and there will be raffle prizes. Tickets are $25 and can be purchased by sending a check payable to WWC with your name, phone number, and e-mail address to P.O. Box 182, Westborough, MA 01581. You can also reserve seats at the town clerk’s office in the Westborough Town Hall. For more information, contact Elaine at 508-366-8585 or Linda at 508-366-9332.